Jennifer Aniston is famous for her signature sandy blonde layered hairstyles, so it’s no surprise that she often chooses to wear her hair down. Whether she’s hitting a big premiere or just on casual duty, Jen’s go-to look is shiny, slightly tousled “California girl” chic. That said, it seems not even Jennifer Aniston is averse to rocking a good braid trend once in a while. Fishtail and herringbone braids are one of the coolest looks around, and we’ve spotted them on everyone from to. 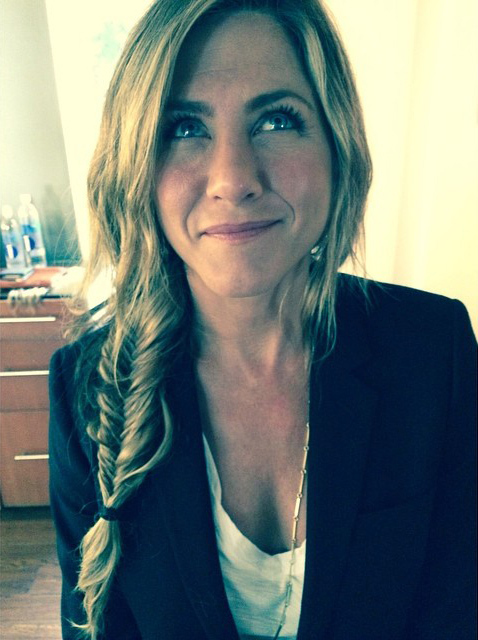 Want to make like Jen and get in on the fishtail braid trend? Look no further than our quick, easy four-step tutorial. Trust us, you don’t need a Hollywood hairstylist to do it.